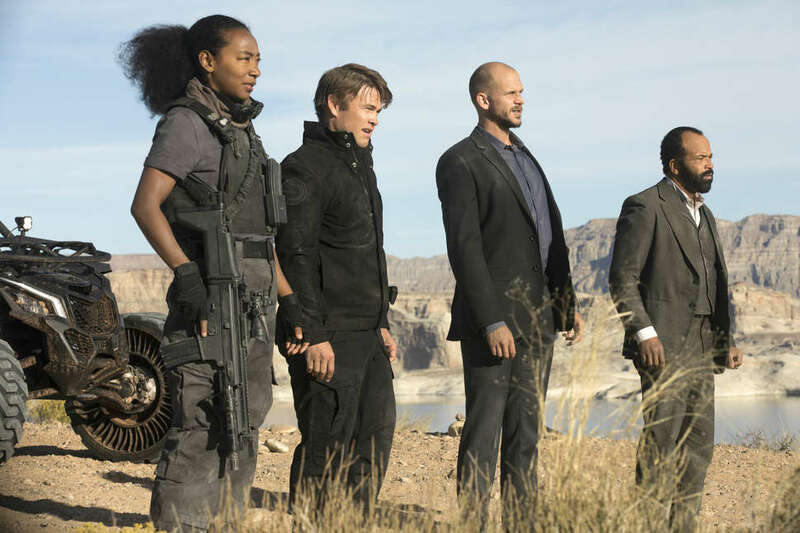 This post contains spoilers through Season 2 of Westworld. Head to our show hub, Westworld World, for more reviews, theories, and deep dives. Each new episode of Lisa Joy and Jonathan Nolan's Westworld reboot brings several new enigmas, with, usually, nary an answer in sight. Some of these questions, of course, are higher stakes (remember "the maze"?) than others (the guns! ), but one we've fixated on since the show's debut is: Where the hell is this place? All last season, everyone had their theories about where the park was: under a dome, in a simulation, even, on a different planet. 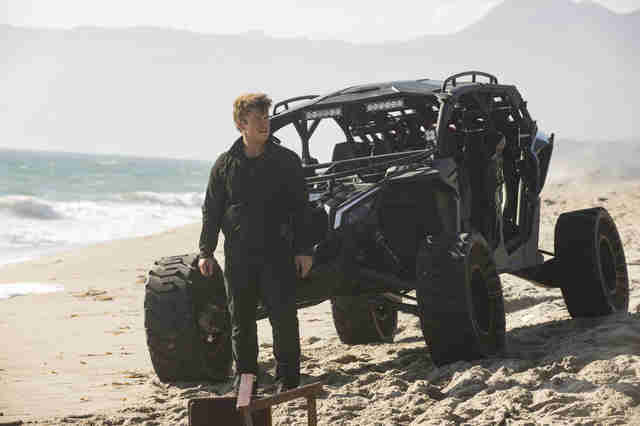 Fortunately, now, thanks to a few key scenes from Season 2, we're getting indications that the Westworld park is a physical place on planet earth. Below, all the evidence we've been able to find from Seasons 1 and 2 so far, a dossier we'll update as more info becomes available. Not the Black Ridge Limited, which you used to see stop in Sweetwater all the time. We're talking about the sleek, bullet-looking one that debuted in Season 1, Episode 2. As we see Logan and William riding in, we're given our first hint that Westworld is, in fact, an actual destination. In an interview with Inverse, production designer Zach Grobler said he modeled the futuristic transporter after Elon Musk's Hyperloop system. 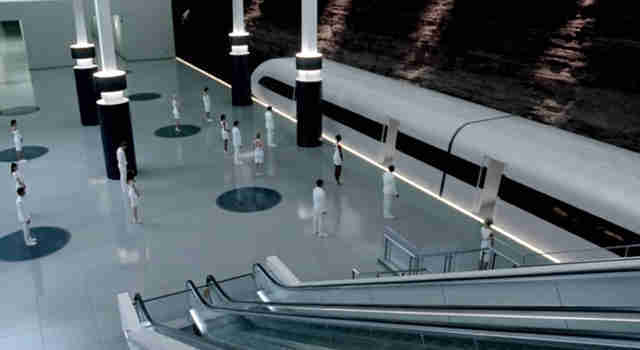 "I looked a little bit into the designs there," he told the site, noting that he designed the interior of the Delos train for long-distance travel. Despite the high-speed tech, "it will take you a few hours to get [to the park] because it's so far away. Nobody knows where this place is." OK, now remember when Maeve boarded the train? The first Hyperloop cameo, as fun as it was, answered verrrrrry few questions. Mostly because the location of the park was still up in the air, and we had no idea how the humans went from the welcoming area into the park. (The trippy way the Black Ridge Limited worked didn't help.) But that changed near the end of the season, after a handful of findings indicated the park and the welcoming area existed in the same physical plane. 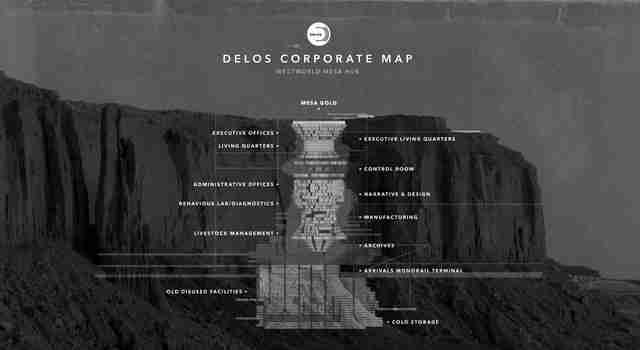 First, we got a look at the Mesa Hub map, which showed where the monorail platform was in relation to the rest of Delos HQ and the park. Then, we saw Ford & Co. making use of utilidors -- similar to the ones found in Michael Crichton's original movie -- which connected underground Delos HQ areas to the Westworld grounds. And finally, we saw Maeve attempt a daring escape, by boarding the guest monorail in the season finale -- meaning, yes, hosts are capable of walking amongst guests outside the park grounds. Unfortunately, as you'll recall, Maeve abandoned her escape plan at the last second to stay in the park and track down her daughter. We didn't get to see where that train would take her, which was a bummer, but, as a consolation, we got a (potentially) major clue as to where the park could be. Finnish fans watching the season finale noticed that when Maeve learns where her daughter is, their subtitles revealed very (!) specific coordinates: 9° 55N 115° 32E. If you plug those into Google Maps you'll find Mischief Reef, a Chinese-occupied outpost in the Spratly Islands, near the Philippine province Palawan. Skeptical about the coordinates? We don't blame you. It is, after all, an insanely specific, convenient Easter egg. Elements of the island theory start to add up when you consider what happens at the beginning of Season 2. 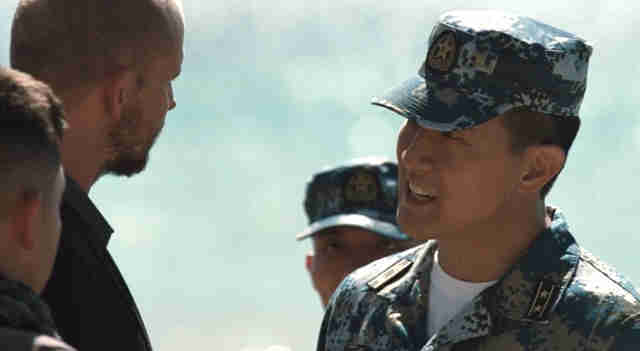 Early in the first episode, we see China's naval unit of the People's Liberation Army approach a new character, Karl Strand (Gustaf Skarsgård), to ask his Delos team to evacuate. "See this?" Macho Man Strandy Savage counters, doing his best impression of a guy who probably has like three trucks at home. "It's an official statement executed by your country, giving Delos, and consequently me, authority over this entire island." As the Chinese marines leave the island, we see them board rafts and head into the ocean, where larger vessels (possibly theirs) lurk. Why the confrontation? China claims almost the entire South China Sea, and if a life-threatening disaster (like killer hosts running rampant) struck near the mainland, it wouldn't be surprising to see the country's navy deployed. The Mischief Reef coordinates aren't the only Chinese clues Season 1 gave us. You might recall seeing Maeve speaking Chinese with guests in her saloon in the series premiere. Then there was Theresa Cullen (Sidse Babett Knudsen), who later in the season, received a video message from a board member speaking in Chinese about the arrival of Charlotte Hale (Tessa Thompson). And, perhaps most obvious, as Maeve was boarding the train in the finale, P.A. announcements rang out in English first ("Welcome to Westworld. Live without limits.") and Chinese second. Of course, none of these necessarily confirms anything, but they're good to keep in mind as relevant, lingering points. Hmm, OK, where is this city? It's unclear, but we think the Logan and Arnold-Dolores scenes could be taking place in Singapore's Central Business District. The first clue comes when Arnold and Dolores stroll through the city: A glimpse of the skyline reveals two distinct skyscrapers (one with three blue bands on top and one with several stripes of light, seen in the screenshot above) that appear to match those found in nighttime shots of Singapore. Second, the sign of the restaurant they walk by, Space 47, contains the simplified Chinese characters for the word "space" -- Chinese being one of the primary languages spoken in Singapore. Unfortunately, these two tidbits aren't quite enough to let us conclude anything for certain. Similar skyscrapers can be found in Los Angeles, for instance, and other environmental clues, like the palm trees near Arnold's new house, are native to both L.A. and Singapore. 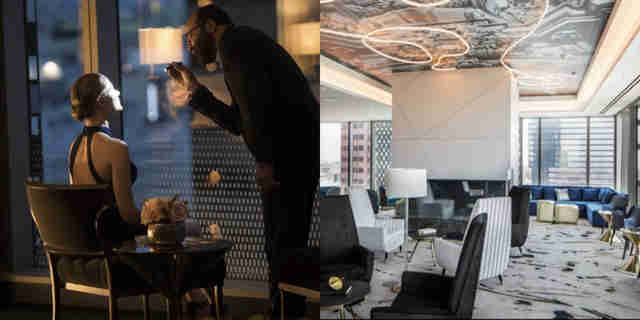 Some of the city scenes were definitely shot in L.A.
Thrillist has learned that the Dolores-Arnold scenes from Season 2, Episode 2 -- the ones where they're looking out at the city -- featured shots of 18 Social at Hotel Indigo, a lounge and bar located in Los Angeles. 18 Social is "meant to be a modern interpretation of 1920s aesthetics" influenced by Downtown L.A.'s theaters, according to a rep from Hirsch Bedner Associates, the firm that designed the space. A big win for L.A. theories? Maybe. Hotel Indigo and that distinct pink high rise (known as the Wilshire Grand Center) are within close proximity of each other. However, a few potential speed bumps remain: First, the city isn't particularly close to the Spratly Islands -- a flight from LAX to Manila takes about 15 hours, whereas heading from Singapore is only about three and a half. Second, many projects are shot in L.A., but not necessarily set in L.A. Since we haven't gotten any in-show confirmation yet, our best assumption is that this is likely a big coastal city somewhere, maybe in South East Asia, probably with access to the South China Sea. Wait, but still, you're saying Westworld is located in a real place on earth? Sure seems like it! Another fun Season 2 moment that lends credence to this theory comes during Bernard's post-incident flashback, when Charlotte says, "They were expecting a delivery from us to the mainland. A host that was supposed to arrive yesterday." She's referring to Peter Abernathy, the walking USB who's filled to the brim with important data. "Until they get it, we can all forget about seeing any rescue planes." Rescue planes! Sounds very not-VR and un-Mars. Lisa Joy also teased Vulture at the end of 2016, saying, "I would just put my faith in the hosts that they’re pretty crafty, and they’re pretty powerful, and their intellect is growing and growing. I would imagine that at least one, ultimately, gets a bigger look at the world. Who and when, I’m not quite sure yet." So, yeah, real, earthbound place is a good bet. What about the Bernard loop theory? Right, right, right. If you peruse Reddit, you'll find fans who are convinced this is all one fucked-up VR experiment. (And they might not be totally wrong.) The Bernard loop theory essentially posits that the ole host is being run through a virtual simulation because Delos is trying to extract information from him about what happened during and after the Season 1 finale. (Think Altered Carbon-style interrogation.) It sounds crazy until you take a look at the evidence, which includes multiple views of the same robot execution and Bernard finishing people's sentences as if he's experiencing déjà vu. If this VR theory is true, does it nullify the chances of Westworld being built on an island in the South China Sea? Not necessarily. The Season 2 scenes where hosts are mingling with real people, sans Arnold/Bernard present, definitely seem to indicate real life in a real place. Welp, as this season came to a close, we didn't get as many answers as we'd hoped. Sure, we solved The Broken Bernard Brain Thing, but as far as Westworld's physical location? We just have the above guesses for now. The good news: Season 3 might have to get more specific. In June's finale, we saw Dolores escape the park and make it to Arnold's home, which, we've been led to believe, is a real, non-VR, extremely NR (normal reality?) place. So, theoretically, with Dolores and some of her newly revived automata pals running free, this means one of the next story arcs could very well focus on action in the Real World. Does that mean we'll soon be seeing automata speeding down the 110 Freeway? Or telling people, "Singapore sure is swell this time of year"? Hmm… probably nothing that specific, but stay tuned! 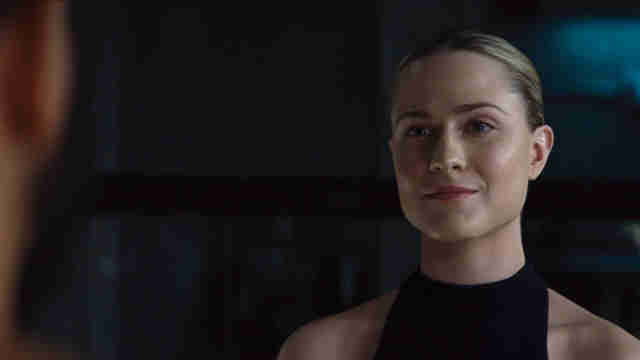 Westworld returns with its third chapter -- and hopefully more clues -- sometime in 2020.